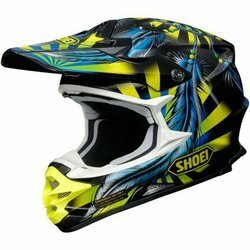 We are a top notch supplier of Dirt Bike Helmet. - Outer Shell injected from special high impact grade of engineering thermoplastic. - Multiposition articulating optically true injected polycarbonate visor duly silicon hard coated for scratch resistance properties. - Regulated density EPS concussion padding lined with specially treated anti allergic velveteen. We are leading distributor, supplier, wholesaler and trader of superior quality Bike Helmet in the market at present. Also, we ensure the on-time delivery of the helmet in a very quick turnaround time. 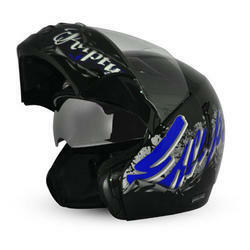 The company is the chief Apex Warrior Decor Open Face Helmet Manufacturer, Exporter, and Supplier in Delhi.